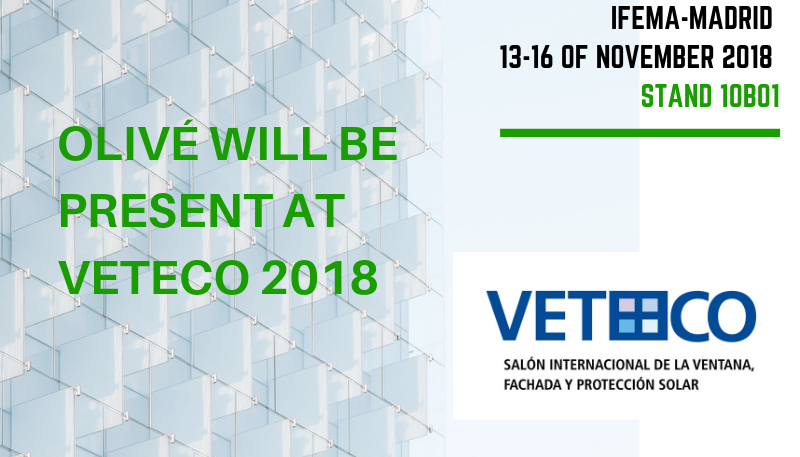 Olivé Química, a reference in the manufacture and commercialization of silicones, adhesives and sealants, will participate at the next 16th edition of the International Window, Facade and Solar Protection Exhibition, VETECO 2018 in Madrid, presenting its novelties and wide range of efficient products that help to save energy. 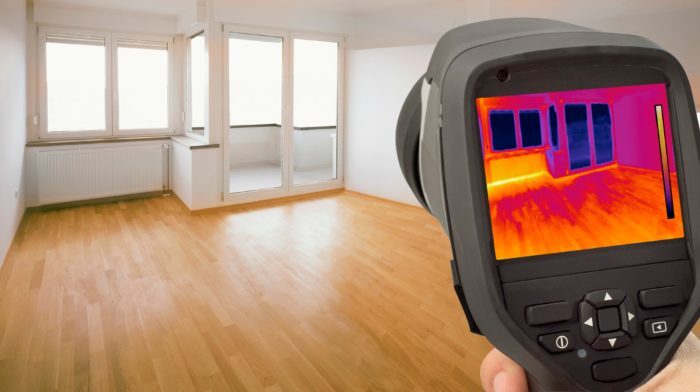 With the aim of improving the quality of life and energy efficiency, Olivé Química continues to invest in solutions that meet the demands and technical requirements for efficient construction. 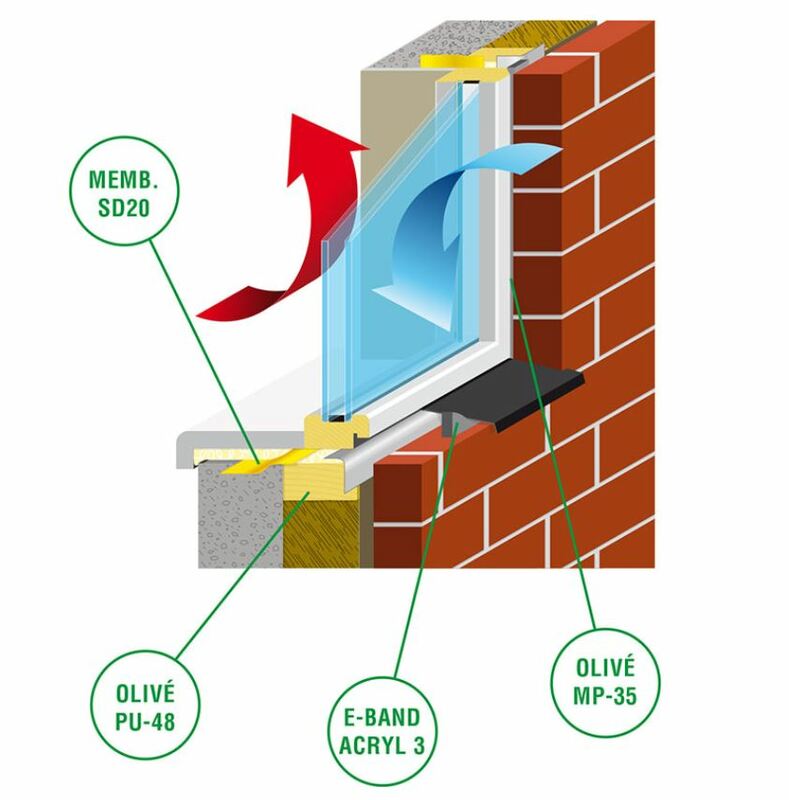 For this reason, in this new edition of VETECO they will promote their Olivé 4 Window, smart insulation system which allows the reduction of thermal and acoustic bridges in the installation of exterior enclosures, avoiding condensation and saving consumption. 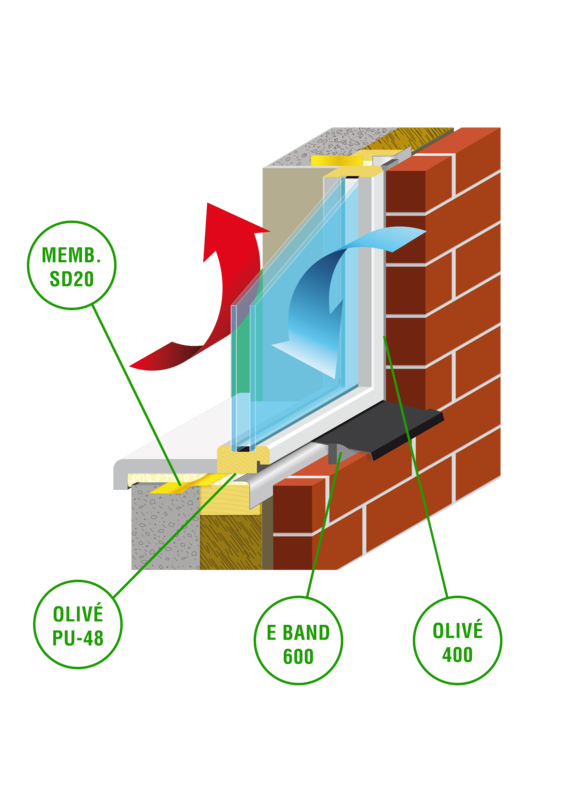 This system is a suitable solution for energy efficient enclosures and passive architecture, where its benefits are applicable in both new construction and renovation. 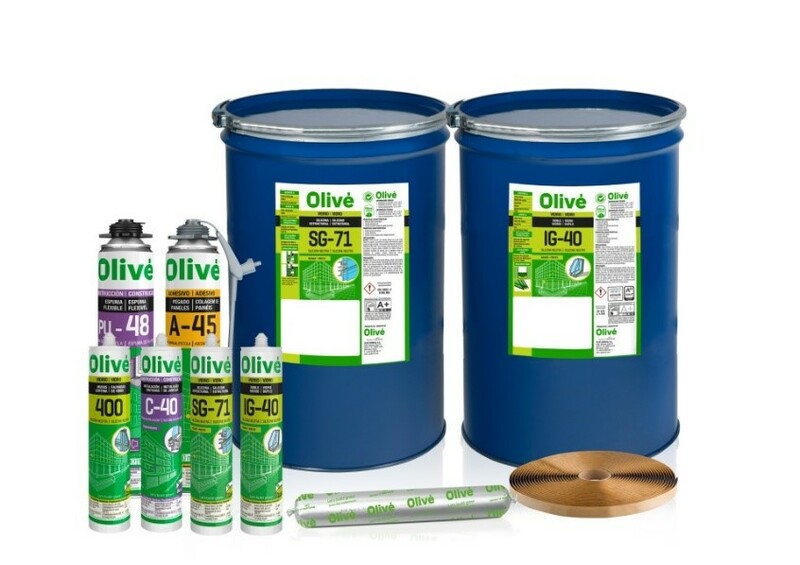 Among the novelties, the new Olivé A-45 polyurethane instant adhesive foam will be presented at the fair. 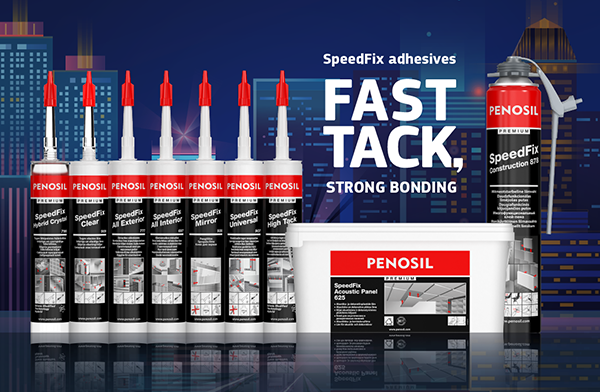 It is ideal for construction work both indoors and outdoors, can be used in different media and ensures precise dosage thanks to the free EasyGun® applicator that comes with it. 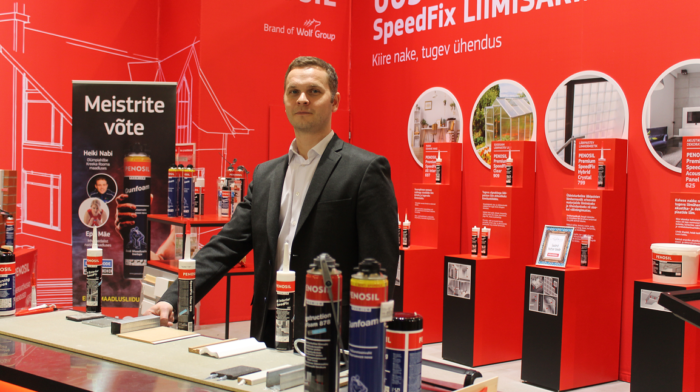 The high-quality products for facades and glass facades that characterise the company, such as the Olivé 400, C-40, SG-71, IG-20 / IG-40, among others, will be presented. The visitors of Olivé Química’s stand will also be introduced to the presence of Olivé production in the range under Penosil brand, which also belongs to the Estonian group Wolf Group. During the fair, the participants will have access to all the information about the products, solutions and novelties in Stand 10B01, Hall 10, in IFEMA de Madrid. 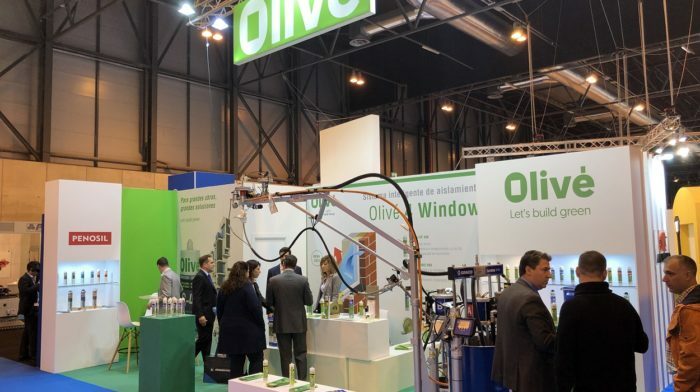 More information: www.olive-systems.com and http://veteco.ifema.es/en/home/.